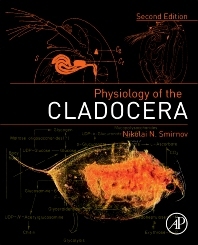 Physiology of the Cladocera, Second Edition, is a much-needed summary of foundational information on these increasingly important model organisms. This unique and valuable review is based on the world’s literature, including Russian research not previously widely available, and offers systematically arranged data on the physiology of Cladocera, assisting with explanation of their life and distribution. It features the addition of new sections and a vast amount of new information, such as the latest data on feeding, nutrition, pathological physiology, chemical composition, neurosecretion, and behavior, as well as hormonal regulation, antioxidants, and the biochemical background of effects of natural and anthropogenic factors. Additional expertly updated contributions in genetics and cytology, and a new chapter in embryology, round out the physiological chapters, and provide comprehensive insight into the state of knowledge of Cladocera and their underlying mechanisms. Cladocera crustaceans have become globally studied for many purposes, including genetic, molecular, ecological, environmental, water quality, systematics, and evolutionary biology research. Since the genome of Daphnia was sequenced and published, that system has gained much wider exposure, also leading to a rapidly growing awareness of the importance of understanding physiological processes as they relate to evolutionary and ecological genomics as well as ecogenomic toxicology. However, the physiological background on Cladocera has been fragmentary (including on the other 700 known species besides Daphnia), despite the extensive literature on species identification and morphology. This work addresses this issue by collecting and synthesizing from the literature the state of knowledge of cladoceran physiology, including discussion on both adequately and inadequately investigated fields, and thus directions of future research. Nikolai N. Smirnov is Principal Scientist at the Severtsov Institute of Ecology and Evolution of the Russian Academy of Sciences, in the Laboratory of Aquatic Communities and Invasions. His principal research interests include morphology, systematics, and other aspects of the biology of Cladocera, and he has had experience in this field for more than 40 years. He is the editor of the English-language edition of Journal of Ichthyology and head of the Advisory Committee for Arthropoda Selecta, and has traveled extensively across four continents conducting zoological research.